When the wagon carrying Odessa Clay and her father overturns, he is killed. She is left alone in the middle of the desert to try to find her way to kin in Phoenix. Hot, dry and scared, Odessa is near death when Zach Johnson finds her. Squinting up into his tanned and handsome face, she imagines she’s died and gone to heaven. Would-be-outlaw, Zach comes across an unconscious woman alone in the middle of nowhere. Where did she come from? She appears young, but the curves beneath the dusty gingham say otherwise. He didn’t plan to become someone’s hero, but he cannot leave her helpless and stranded. Will the promise of Odessa’s sweet lips lure Zach from the secret mission that has his gut twisted into a knot? His father’s ranch isn’t the only thing at stake—now it’s his heart, too. Prepare to take a journey to the old west. From the moment I started reading Odessa, I felt as though I had stepped back in time. Ms. Simpson makes excellent use of descriptive language that completely immersed me in the old west setting. “The sun sat high in the sky and pummeled her with heated fists. Sweat trickled down her face and neck and soaked her chemise. Her parched lips longed for a drink but she denied the need, fearing she’d not find water again soon…Her gaze scanned the lonely trail ahead; her spirits sagged.” When I read these few sentences, I felt like I was trudging through the desert with Odessa. Odessa is certainly a feisty heroine. She is young and more than a little naïve, but she doesn’t let that slow her down one bit. When her father dies, she isn’t about to let the desert claim her life too. She sets off toward Phoenix. However, sometimes a positive attitude isn’t enough. If Zach hadn’t found her by the side of the road, Odessa would have died. Odessa is grateful, but her determination to “help” Zach by earning some money when they stop in Charleston only causes more problems for the pair. I couldn’t help but shake my head when Odessa stubbornly refused to listen to Zach. Still, I liked her as a character. While Odessa makes many mistakes, her heart is pure and strong. Zach is the perfect hero for Odessa. Like Odessa, Zach is young, but he’s strong, loyal, and a perfect gentleman. Despite Zach’s good moral fiber, he’s made a terrible mistake. He’s agreed to rob a stage in order to save his father’s ranch. Zach regrets his decision immediately, but he doesn’t see any other way. Zach’s internal struggle to make the right decision makes him a very relatable character. As I read, I was constantly in suspense about what Zach would do. Would he tell Odessa the reason he was traveling to Charleston? Would he actually rob the stage or would be back out? I won’t spoil the story by revealing Zach’s course of action, but I will say that I was surprised by Ms. Simpson’s interesting solution to Zach’s dilemma. I also enjoyed the romance between Odessa and Zach. Neither Zach nor Odessa is very experienced in the ways of love, but the feelings they develop for each other are real and very strong. They have excellent chemistry and share a few passionate kisses. However, I liked that they didn’t rush into a physical relationship. 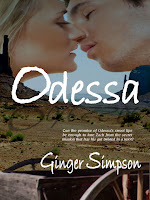 Zach is the first man that Odessa has ever kissed and he knows that she isn’t ready to make love just yet. Zach truly won me over when he agreed to take things slowly so he and Odessa could learn about love together. I’m glad I had the opportunity to read Odessa. 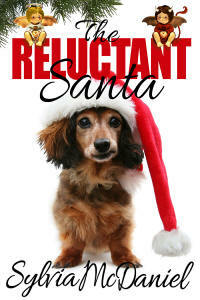 The story has a nice, steady pace, the characters are likable, and the romance is sweet and truly touching. I recommend it to anyone looking for a good western romance.